You must be a senior in high school. If part of a group, the majority must be Seniors and no one over 20. Your group can not be larger than what can fit on stage. You must fill out an application and upload a 90 second audition video to be considered. 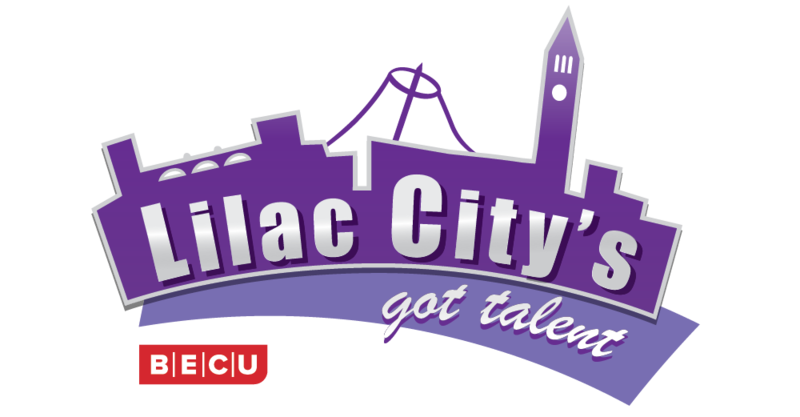 THE DEADLINE FOR APPLYING TO LILAC CITY’S GOT TALENT IS THURSDAY, March 7, 2019 by 5PM. If your Application is submitted prior to deadline, your Audition Video must be submitted within 24 hours of the application. All language, dress and gestures must be school appropriate. No swearing or vulgar gestures or your act will not be considered. Likewise, if you make it to the finals and your act differs from the video in language, dress or gestures your act will be disqualified during the show. The length of your LIVE act cannot be longer than 3 minutes (audition video 90 seconds). You will need to supply your own music and music system. We will have mics, lighting and sound system. If you need music played from a source, you must have 2 copies of the CD or whatever it will be played from. All qualifying acts must attend the dress rehearsal on March 27th at 4 PM.. Failure to attend the rehearsal will disqualify your act. Fill out entire application and click submit at the bottom of the application. Once the application is submitted, you will be given instructions to submit your audition video. Create a 90 second video where you showcase your talent. In the beginning of your video, state your full name, the name of your high school and what you will be doing (if there are more than one of you in a group, then the leader will do the introductions. No one in the band may be older than 20 years old and the majority must be Seniors). Note – your audition file name must match the instructions on the application submission confirmation page.